The Mets took 2 of 3 in Atlanta while the Cards have taken 2 of 3 in Philadelphia as St. Louis heads into the finale of the 4 game series with the NL East Champions. 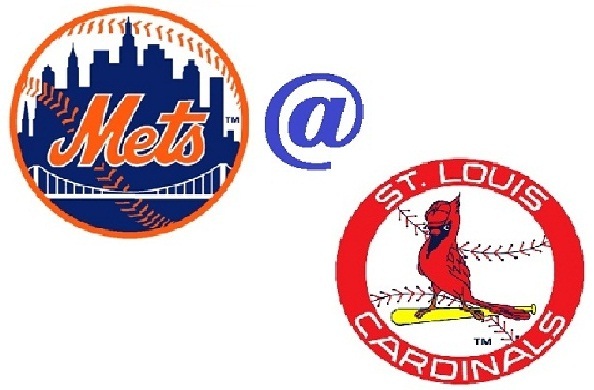 The Redbirds look to Kyle Lohse to stand toe to toe with Roy Halladay tonight as Cardinal Nation hopes to welcome their "Bird on Bat" heroes back to Busch on Tuesday for 3 games with the Mets facing what they hope to be a 2-1/2 game deficit in the NL race for the final playoff spot. The Mets took 2 of the 3 games played between the 2 teams in New York back in July. The Redbirds remarkably are 7 games over .500 both at home and on the road going into tonight's game at Citizens Bank Park. The Cardinals will finish out the remainder of the 2011 schedule hosting the woeful Cubs for 3 this weekend (St. Louis has won 5 of the 6 played at Busch this year) and a final 3 game series in Houston where the Cards have won 4 of the six played at Minute Maid Park. The Braves who hold a 3-1/2 game lead over St. Louis this morning will face the Marlins in Miami for 3 games starting tonight. The Braves have won all six games between the 2 in Florida thus far in 2011. Atlanta will follow the Marlins series with a weekend trip for 3 in Washington (where they've split the 6 games against the Nats thus far) and hosting the Phils for the final 3 games of 2011 against whom the Braves have gone 3-3 at home thus far. I look forward to attending all three Mets Cardinals games here in St. Louis as the Mets will actually participate in "meaningful" September games here in the Gateway City. And while of course I’m a diehard Mets fan, I wouldn’t be all that upset if St. Louis were able to gain some ground on the path to a possible post season appearance. Post season baseball is good for the city and this entire region’s economy, so...Let’s Go Mets...But it’s OK to win Cards….